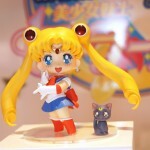 Bandai has announced a bunch of new Sailor Moon items. 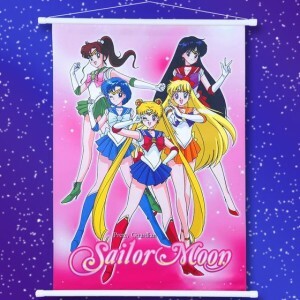 We have a Sailor Moon Wall Scroll, a Sailor Moon Microfiber Mini Towel and gold plated rings in the style of Super Sailor Moon’s Crisis Moon Compact. 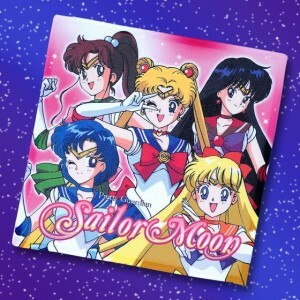 The wall scroll is 51.5×72.8cm (about 20×29″) and is priced at 3150 yen ($33 US). The microfibre mini towel is tiny at 20x20cm (only 8×8″) and sells for 600 yen ($6.30) so don’t expect to be bringing this towel to the beach. Both the wall scroll and towel will be released in July. The rings are most interesting. 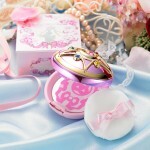 They are not toys but real jewellery designed after Sailor Moon’s Crisis Moon Compact which she uses to transform into Super Sailor Moon. 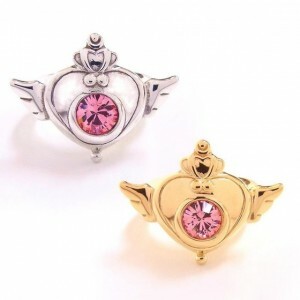 Both are made of silver and the gold coloured ring is actually coated in 18k gold. 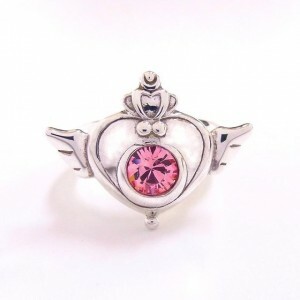 The gem is a pink Swarovski crystal (Swarovski is a brand, not a type of gem) though I understand it lacks any magical properties. 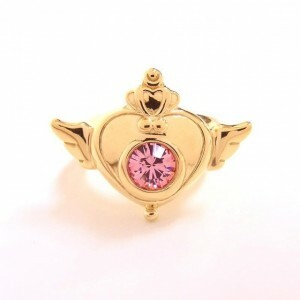 The rings are priced at 15,750 yen which is about $166 US. 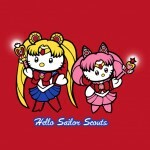 This item will be on sale in August. 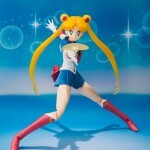 All items can be preordered by Japanese collectors using the links at the beginning of this post. 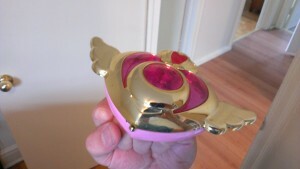 This entry was posted in Merchandise, Toys and tagged Bandai, Crisis Moon Compact, Super Sailor Moon by Adam. Bookmark the permalink. This company really needs some new art work. They have overused the poses on that wall scroll since the original series! The new anime can’t come soon enough! I love the rings though.